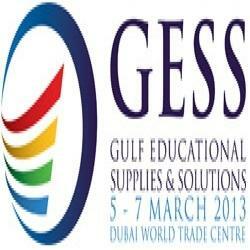 This visit was arranged for Gess Dubai show, which proved to be more beneficial to Tesca. 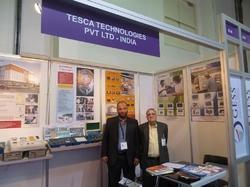 It was path to introduce Tesca Products to various new clients/educational institutions. 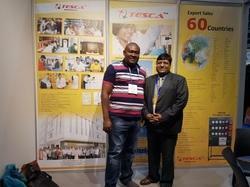 Dealers meetings were also arranged for the Middle East and African clients and got their assurances to put more efforts to sell Tesca products in these Countries. Orders for Robotic kits were received and expect to get more orders for our products in the near future. Tesca Technologies Pvt. 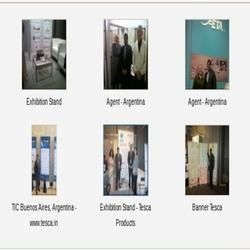 Ltd. attended the below event in Buenos Aires, Argentina from 22nd Aug to 27th Aug, 2011. It was a successful show. 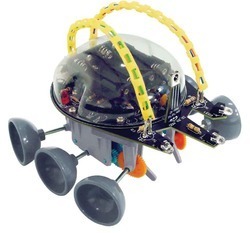 Tesca received order for 1000 pcs of Escape Robot Kit - Order Code 49509 from Singapore. 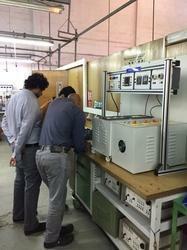 Iraq Communication Trainer Kits, D to A Module, Stepper Motor Module. Bhutan Drill Machine, Welding Machine, Coil Winding Machine, TMI, Portable Digital Meter. Bhutan DSP Kits, Components, Programmer, Eraser. Egypt Breadboard Trainers & TMI. 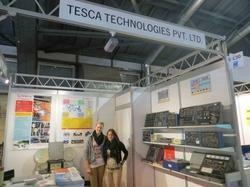 Tesca Technologies emerged as Tesca Technologies Pvt. Ltd. who are established and reputable manufacturers/exporters/dealers of Test, Measuring & Technical Education Training Equipment having its Office at 305, Taru Chhaya Nagar, Tonk Road, Jaipur-302029, India. We specialize in design, conceptualization, engineering, procurement, supply, installation & training of turnkey projects worldwide. 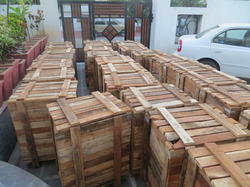 We provide the best, reliable & quality products. 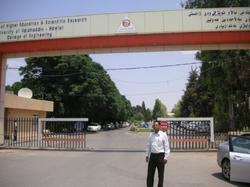 TESCA never compromises on the product quality & performance. Our view points were published in the Magazine about the requirement of educational training kits in India. Advertisement of Tesca Products was released in the Magazine and we are getting very good response from various parts of the world. 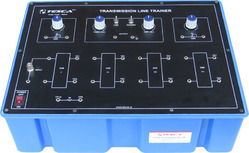 Transmission Line Trainer - 40510 was highlighted and covered with photos. 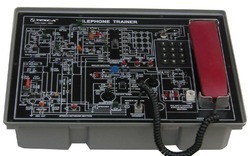 Order Code 10901 - Telephone Trainer was supplied 66 Pcs to Middle East. Tesca Technologies Pvt. Ltd. launched the latest 136 Pages Colour Catalog for Tesca manufactured products. Ask for soft copy and hard copy today !!!! Tesca Technologies Pvt. 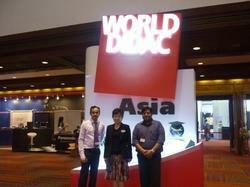 Ltd. exhibited at Worlddidac Asia, Bangkok, Thailand Booth No. C15. 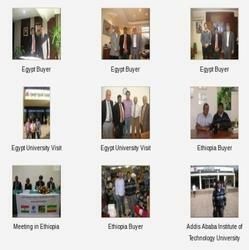 Dealers meetings were conducted for the enhancement of our business in Egypt and Ethipoia.The dealers/clients expressed their fullest satisfaction on the reliability, performance and quality of our products. They have shown much interest in our products and assured to extend their fullest co-operation in selling Tesca Products in their Countries. Really it is a matter of prestige for TESCA. 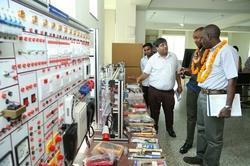 Some of the Colleges were also visited and introduced our products and shown the performance of our educational training kits. They were very much impressed with the quality/excellent performance of our products and assured to give their requirement/orders and pass on their frank opinion to various colleges/institutions in our favour. 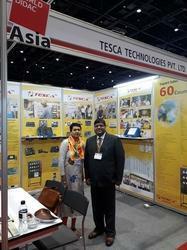 Attended number of tender bidding for Tesca Products and expect to get more orders very soon. 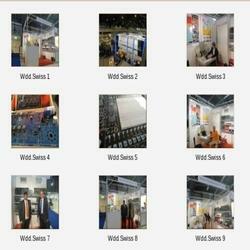 Thanks for visiting us at Hall 5.1 - C29 Stand at Worlddidac Basel, Switzerland from 24th to 26th Oct, 2012. 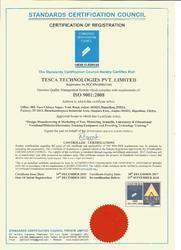 Tesca is now an ISO 9001:2008 certified Company which proves our endeavor to deliver quality products. 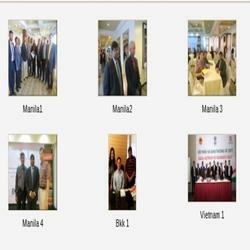 We launched our new website updating new products. 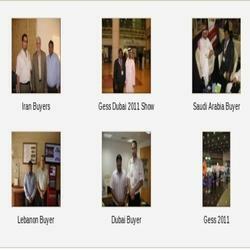 This visit was arranged for Gess Dubai show, which proved to be more beneficial to Tesca. 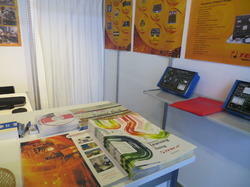 It was path to introduce Tesca Products to various new clients/educational institutions. Dealers meetings were also arranged for the Middle East and African clients and got their assurances to put more efforts to sell Tesca products in these Countries. Orders for Robotic kits were received and expect to get more orders for our products in the near future. It was done in past years also.